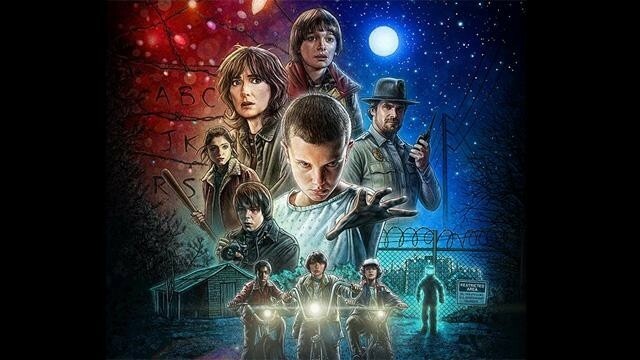 If you still haven't gotten on the Stranger Things train, you have about 3 weeks to marathon the first season before the second season's premiere on October 27. Last year, we met and got to know Eleven, played by Millie Bobby Brown. She even played a round of This or That with Candymag.com! 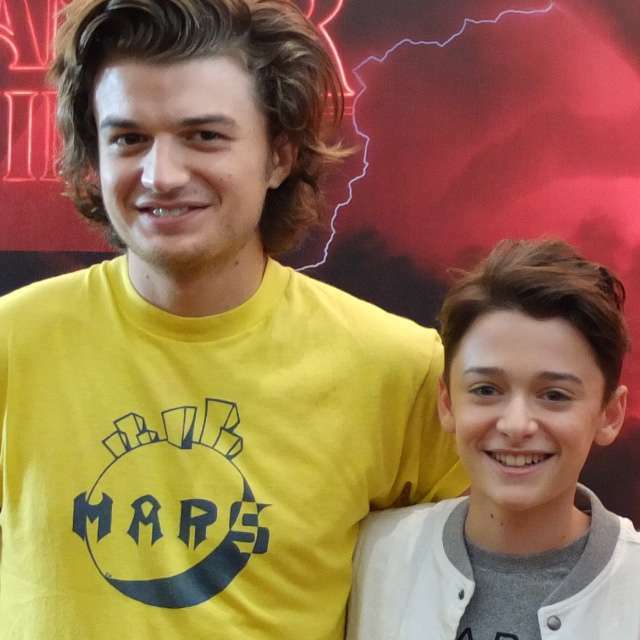 This time around, we got to sit down with Noah Schnapp (Will Byers) and Joe Keery (Steve Harrington) who have been promoted to season regulars, plus Hawkins newcomers and onscreen siblings Dacre Montgomery (Billy) and Sadie Sink (Max). Check out our quick Q&A with the foursome! What's the best memory you have from filming season 1 and a fun experience you can share from filming season 2? Joe Keery: "Filming the scene where we got to fight the Demogorgon at the end of season 1 was really fun. That was two or three days of just me, Charlie [Heaton], and Natalia [Dyer] just in the house getting to hang and film that. That was really fun. "For season 2, it's kind of hard. I can't really pick one. It was really just fun hanging out. Really easy, relaxed vibe on set. 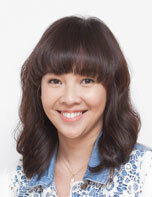 Tensions never really run high even though, like, you get under pressure." Noah Schnapp: "I have a couple but I really enjoyed filming the very first scene where all the boys were sitting together at the table playing D&D. It was just cool because it was the very beginning of the season and we didn't really know each other. I remember everyone was sitting behind the camera making faces and laughing. When the camera wasn't on them, they would make a face behind the camera and we were all messing up. It took a while to get that scene done but it was a lot of fun. "For season 2, there's no specific thing we really loved it was just the whole season was really fun." Do you have any strange or funny encounters with fans? "And the other one was someone asked me to prom. And it was like, 'sure, I said yes.' And they were like, 'OMG, OMG! That's so cool.' And they ran up to my parents and they got their phone out and they were like video-ing my mom to get proof or something, I don't know. And they were like 'this is the date, this the time, come at this hour, you have to be dressed like this.' And I was like, 'oh you're serious.' And they were like 'yes, you can't back out!' It was really weird. I still don't know when it is." Joe: "I guess kind of a weird one is people like to touch my hair. It's weird!" What was it like joining the cast from the first season? Were there any silly initiation rights or pranks that they played on you? 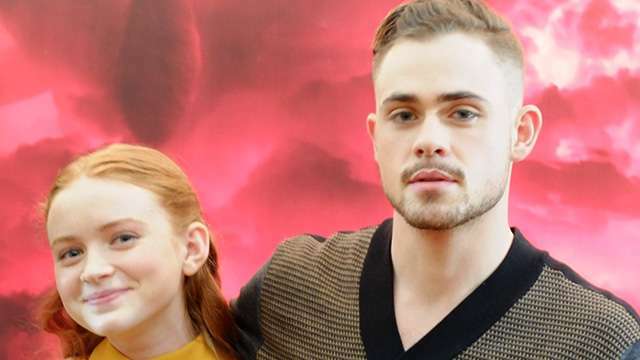 Dacre Montgomery: "No, there was no hazing. They were very, very inclusive of us. Considering the first season was such a hit and like who am I? I'm from Australia. They were so welcoming. And I learned a lot. I've never done TV before. 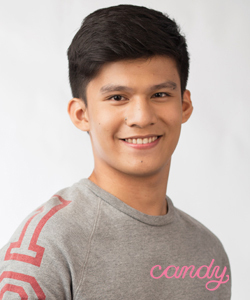 I learned a lot from the other teenagers and kids and adults." 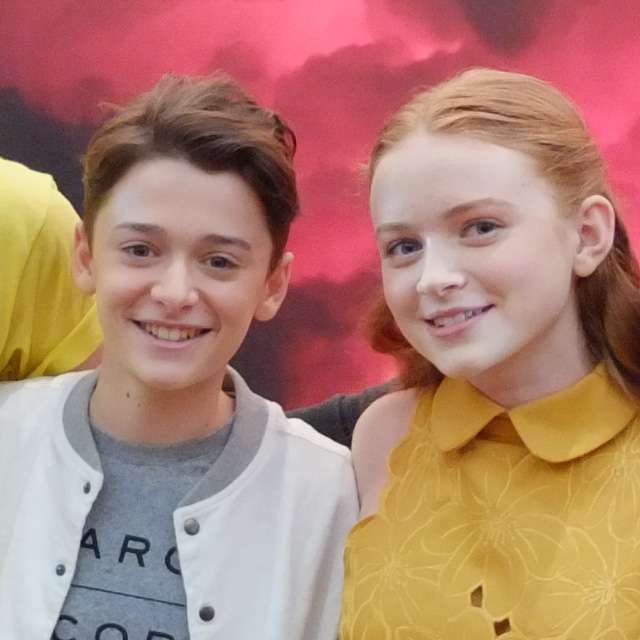 Sadie Sink: "It's definitely a close cast, so I didn't know how it was going to be stepping into that. But they couldn't have been more welcoming. There was no trouble at all. I think we got along really well." Did you have to watch movies or shows or listen to music from the '80s to get into the setting of Stranger Things? Sadie: "I would just ask my parents. As far as like music or films go, I know the other kids to prepare they were instructed to watch all of these '80s films. But not really for me, I was just told, 'Learn how to skateboard.'" Sadie: "To learn how to skateboard? Yes. At first, it was. I fell a lot at first but they had me in like ridiculous knee pads, elbow pads, and a helmet. It was hard. I actually kind of learned to love it. And then after a while, I just felt like, wow I never thought I would actually enjoy skateboarding but it’s something pretty fun." Do you watch any series on Netflix now? Do you watch per episode or binge-watch everything? Dacre: "Ozark was amazing. I watch Grace and Frankie, I watch Rick and Morty. Black Mirror Season 3 was amazing. House of Cards." Sadie: "For me, it's Arrested Development. I watched the first 2 seasons. I try to say, 'Okay, Sadie, we're going to watch one episode today and one episode tomorrow.' But that never happens." As for us, we're definitely watching all episodes in one go when Stranger Things Season 2 streams on Netflix this October 27. We can't wait!